The upbeat, reggae style song The Word Girl was the British band's biggest hit single, reaching #6 during 1985 and lifted from the album Cupid & Psyche 85. I remember listening to this one quite regularly on the cassette version of the Now That's What I Call Music 5 album. I've still got the cassette in a box somewhere, although I suspect the sound may have faded away now! This song brings back some great memories from the 80s, at least. British pop/soul band, Scritti Politti, formed in 1977 and went on to achieve success with five UK Top 40 singles. Four of these charted in the 1980s; Wood Beez (Pray Like Aretha Franklin), Absolute, The Word Girl and Oh Patti, Don't Feel Sorry For Loverboy. The band's last Top 40 hit was in 1991 with She's A Woman featuring Shabba Ranks. The band are still performing today, and although the line-up has changed frequently, one member from the original line-up is still in the band - singer-songwriter Green Gartside. The band released three albums during the 80s which were all pretty successful. Released in August 1982, the band's debut album Songs To Remember reached #12 in the UK album charts despite none of the singles from the album charting in the Top 40. The lead single, The Sweetest Girl, was released before the album in 1981 but only reached #64. Faithless faired slightly better reaching #56 and the double A-side Asylums In Jerusalem/Jacques Derrida almost reached the Top 40, stalling at #43. Scritti Politti's first chart success came with the lead single from the second album Cupid & Psyche 85. Entitled Wood Beez (Pray Like Aretha Franklin) and released in 1984, this tribute to the American "Queen of soul" made #10 in the UK and #91 in the U.S.
Cupid & Psyche 85 was the band's only album to break into the American Top 20, reaching #11. In the UK it reached #5, making this the most successful album of their career. The second single from the album entitled Absolute (also released in 1984) was also quite successful, reached #17, but the third single Hypnotize stalled at #68. However, the fourth and most well-known single from the album, The Word Girl (single sleeve on left) became the band's highest-charting single, reaching #6 in the UK. A final single entitled Perfect Way failed to maker an impression in the UK and could only reach #48, although it was the band's only Top 40 single in America. It did surprisingly well reaching #11. The third and final album of the 80s reached #8 in the UK album charts and #113 in the U.S. Released in June 1988, Provision featured only one hit single which was Oh Patti, Don't Feel Sorry For Loverboy. This reached #13 in the British singles chart. Follow-up single First Boy In This Town (Love Sick) stalled at #63 and Boom! There She Was could only manage #55. In 1991, the non-album track She's A Woman which featured guest vocalist Shabba Ranks was the band's fifth and final hit song in the UK, reaching #20. Another non-album single was also released in 1991. Take Me In Your Arms And Love Me (featuring British reggae singer and DJ Sweetie Irie) reached #47 in the UK singles chart. Anomie & Bonhomie was the band's fourth album and the last to chart in the UK, reaching #33 in 1999. One single was released from the album entitled Tinseltown To The Boogiedown which reached #46. 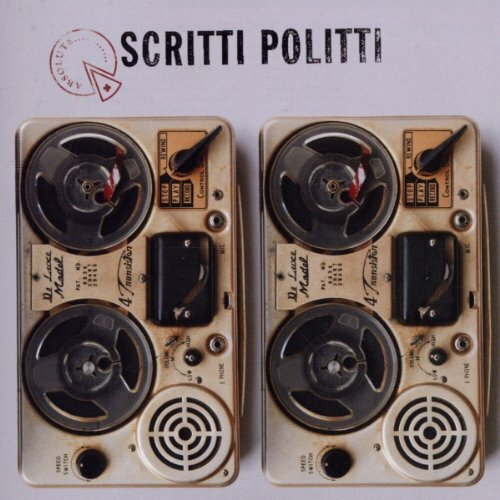 This was the last Scritti Politti song to chart in the UK. A fifth album in 2006 entitled White Bread, Black Beer failed to chart and the only single from the album The Boom Boom Bap also failed to chart. The band released a "best of" album in 2011 called Absolute, although it wasn't commercially successful and failed to chart anywhere. Shame. 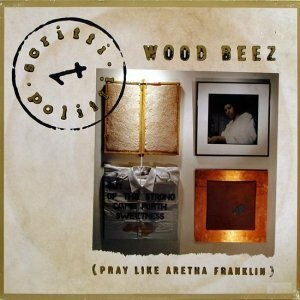 "WOOD BEEZ (PRAY LIKE ARETHA FRANKLIN)"
This video clip features Scritti Politti performing their first Top 40 hit on Top Of The Pops in 1984. The song was released as the lead single from the band's second studio album Cupid & Psyche 85, reaching #10 in the UK and #4 on the U.S. Dance Charts.